We live in a World where hosting a website is easier than doing monthly grocery. Yes, every day hundreds and thousands of websites go online and entrepreneurs from around the world enjoy doing business online. This would never be possible without the support of a web hosting service. Consider the hosting like a rental you pay for the land. Web hosting or cloud hosting is a similar concept where you host your domain on the web. While the choice of website hosting is countless, today in our blog, we will be discussing about Hostinger web hosting. There is a lot of ground we need to cover in our Hostinger review, but let’s start with the pros and cons first. The services Hostinger cannot be summarized in a gist. Hostinger was launched in 2004 with an idea to create simple yet effective websites for free with no barriers to MySQL, cPanel, PHP or ads. This enable users to express their freedom via their own website. 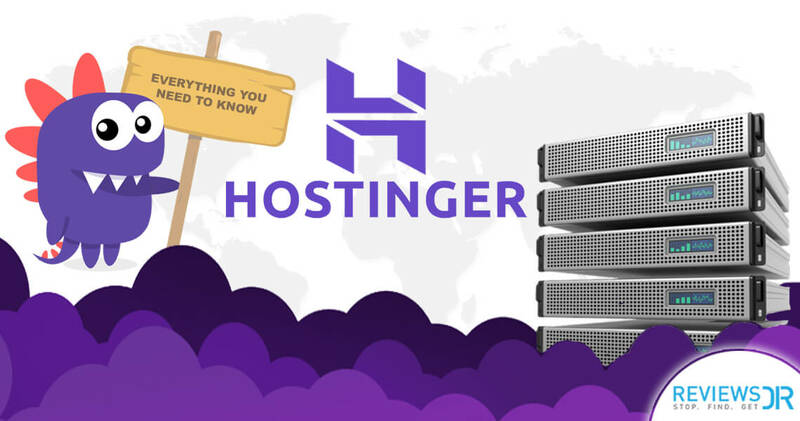 Hostinger is providing an excellent website hosting platform to more than 29 million users across 178 countries making it a globally recognized hosting website. On daily basis, around 15K new users sign up to get more knowledge and services of web hosting that means 1 new customer every 5 seconds. The Hostinger community is proud of its services and proceedings which that helping them to boost its user base. Who Can Use Hostinger Web Hosting? Hostinger is a multipurpose platform which provides matchless hosting services at affordable price. Hostinger web hosting is ideal for small business ventures and e-commerce stores. Why? Hostinger is a power-packed platform where multiple hosting facilities are provided, making things easier for web hosting and integration. However, if a business that requires intense higher uptime, agility, and speed, they may want to look somewhere else for powerful features. Hostinger speaks the primary tool, light on the pocket delivering unique services to a large number of people worldwide. The most significant of Hostinger is its support system, which is also a downside of the service because the support team is sluggish. The ability to chat live with the support team is a handy tool in addition to getting support tickets which are provided by the support team enabling you to track your issue. But to access the live chat user must be logged in. This may seem to be a debacle, and for anyone looking for assistance, it’s a nightmare. You might be waiting for your query to be responded in the live chat section but that will never happen because you are logged out. Not knowing this would bring havoc on the user leading to frustration. You need to be logged in your account for starters and then wait for more than 10 minutes to get an auto-generated response which further leads to more time waiting. You can’t ask questions or provide your insight while testing Hostinger, is like a sinking ship. Types of Hosting Hostinger Offer? Hostinger is a one-stop solution, providing a mix of shared and cloud hosting. Web hosting is a vast genre which comes in all packages depending on the user’s needs, which is why different setups suit different webmasters. Being a big name in the hosting market, Hostinger provides the following services. The first in the bouquet; Virtual Private Server (VPS) is a setup of shared hosting with a much powerful kick, because of the fast and powerful hardware that makes things run smoother. It takes on the name where multiple websites are being stockpiled, and the virtualization software inbuilt allows them to operate with 100% authority and independency as they are mini-servers. Cloud Hosting permits pro webmasters to penetrate large sized bank of servers that are connected together in a certain way to take over the other servers place in dire need, making the servers functionality running. Hypothetically if more resources need to be pooled in, the cloud will automatically gather resources to cope with the demand. This type of hosting provided from the Hostinger is best if users require 100% uptime regardless of the cost attached to it. Hostinger offers the cheapest of the hosting services; Shared Hosting. This is the most reasonable form when it comes to the utilization of the hardware. This uses multiple websites hosted from the same server where each user is allotted a certain amount of storage space with available resources. This hosting service is assigned for the professionals and as the name suggests the server limits itself to a single website. This way unlike the VPS and Shared hosting, the user does not share its storage space and resources with other users. Hostinger is a multi-platform service provider and one of its basic functions include WordPress hosting. Users around the world look to create their websites through WordPress, whereas Hostinger’s plan come with a click of a button installation process making things more streamlined. Hostinger optimized their WordPress plans giving users 3x-5x extra higher speed for their website. That is solely because Hostinger use HTTP/2, PHP 7.1, and NGINX being their own custom created built already pre-installed with WordPress plugins to increases load speeds. All Hostinger plans include a 30-day free trial where before you use the free trial, it requires payment information to be entered. In return the company will refund the payment if you cancel the trial within the first 30 days, no questions asked. Hostinger is making waves due to its hosting service that mediates building websites for users from ground up. Regardless of the plan you pick; you can choose the template which best suits the appeal of your website and looks, avoiding cookie clutter themes to make your website look unlike others. Every part of the page has its own functionality and can be customized manually to design the dream website you always desired of. With a Business or Premium package, you can use a free domain name so viewers can check your website on the internet with ease as Domain names can be a hassle because they tend to look cheap, but eventually, the cost gets higher and higher according to its searches. The goal of Hostinger to educate the users and guide them with tutorials, general information, and video knowledge. Combine these tools, and the user will easily maneuver across the hosting platform learning and solving their way throughout. If you face any backlash, then the customer support is one click away when logged in. Unlike other WordPress hosting websites, Hostinger allows you to quickly toggle between your YouTube page and Hostinger’s page making it much more comfortable. Having a web hosting website, the email configuration is pivotal to be superb because when a customer signs up for the Hostinger website using two pricing plans. They get unlimited email accounts options without any charges incurred. You can forward emails from any account, auto respond with a scheduled email and use a Span Assassin Protection. These tools combined create the best possible email experience where using videos, eBooks or sending documents to your customers become spontaneous without giving your own email. Hostinger aids a newly designed modern cPanel for their content management system that customizes features according to user needs. Users who have no experience in software engineering may benefit with the smooth handling. The added large icons make recognizing features faster and enhance user’s memory. The entire dashboard allows to track logins, manage multiple domains, monitor emails and update billing information faster than ever. This layout is beneficiary as more and more access could be easily carried out without any cluster or confusion for handling everything. With Hostinger domain tray, one domain is provided for free to users subscribing for Annual, Premium or Business plans. Compared to other domains the price Hostinger offers is poles apart. Domains with .net or .com extensions cost no more than $10 per year while .biz and .org is merely $12 annually. Users who opt for GoDaddy will be amused to see the cost. Customers utilizing two or more shared hosting service will be catered with subdomains and parked domains that eases the build-up of a solid web portfolio. In addition to the domains, the control panel lets you easily purchase and access domains that need to be migrated from other hosting websites. Compare both the service websites and see the difference. Hostinger does not limit your websites growth, and with time as users will require more space and functionality, Hostinger will provide it. Hosting plans are multiple, suiting your differentiated requirements. Shared business plans are available which can be broken down into three categories which diversifies features according to the demands. Single offer is situated to fulfill basic features for beginners to run their website without much help. Premium is more towards extra performance and features kicking in, and lastly, Business is meant for all e-Commerce handlers. The bigger you get, the bigger website can be enlarged through VPS hosting giving ultimate performance to your website and an edge over others. Having a website is a great ordeal but managing it is the least favorite tasks to do because its hefty and consumes time. Every hosting account provides a different wireframe for customers to have full control of their billing info, hosting subscriptions as every company offers different layouts and services. Also, the biggest fear overcome is the modern cPanel of Hostinger web hosting where all management interfaces are present on a single tray with intuitive packages. But considering cPanel; its a gold mine for web hosting management making the maneuver of website unique and easy. Hostinger offers competitive pricing plans for its users making it one step ahead of the league considering its competitors in three different categories. The mode of payment is as per user demand and need. This Hostinger review considers every customers need and attends his/her problems with a solution. Users can choose any form of payment as Hostinger supports multiple methods, including credit cards, Mastercard, Amex payments, Discover, Maestro, Diner’s and JCB worldwide. PayPal is the most-safest and fastest online payment in addition to Bitcoins. Users can consider any optional viable for them making it handy and convenient. Hostinger customer support is their pride because if a user faces a problem, the customer support team will be readily available to guide and provide assistance. Hostingers support team is available 24/7 to facilitate you with instant live chat support whenever the need arises. The company further initiates a knowledge base where customers can find answers to various commonly-asked questions. People setting up websites in the initial stages will often see roadblocks and seeking instant support. The hostingers support team is fully functional throughout the industry with thorough and detailed responses. Besides, Hostinger review also focuses on providing support in multiple languages making everyone feel at ease to express their concerns and issues. It’s essential that the website you create loads evidently fast since any website which takes a longer time to load will lead customers to leave your website. If your page takes more than five seconds to load then getting a customer to read your websites content would be harder than you can imagine. Traffic would be close to none, and the bounce rate would hinder exponentially. Looking at the table, the performance of Hostinger Review is above average as they managed to score a Time-To-First-Byte (TTFB) of below 600 MS getting an A+ on the speed test. Seems impeccable; multiple speed tests were conducted on multiple times, and the result was the same. A websites content goes down the drain if the website doesn’t load on time. Customers are evolving and pass their judgment in seconds whether its about a person or technology. When web hosting is concerned, time is money and patience kills the dilemma. Hostinger has servers in Asia, Europe and the US where servers use at least 1000 Mbps connection. As of 2018 we tested load time on a monthly basis on different speeds. On average, page loading times were 384ms. NOTE: The speed test tools which have been used varies from server to server because of the access points used and may not be 100% accurate on different workstations. “Bitcatcha” tool has been used to check packet travel speeds across the globe. We tested the websites response time catering with a simple HTML website to find out its lag and response. Using simple HTML websites mean many host resources are not needed for an accurate result. In this response test, the custom web-based File Manager was chosen to upload our sample HTML code to show its “low” and “up” keep HTML website. Speeds under 400 MS hypothetically guarantees a lag-free performance to all the users without using a worldwide content delivery network (CDN). The speed in the test came to be consistent which ultimately speaks about the power of the servers. The speeds seem responsive and accurate as the website states. No further hiccups occurred. Hostinger is a frequent donor of coupons which gives discounts on its monthly plans on all three categories. These coupons appear from time to time in public; stay tuned and follow Hostingers social accounts where limited time offer special coupons are introduced for their loyal clients. If you are reading till now, you must know Hostinger reviews possibilities and endless perks it offers. Then again one should always be sure of its alternatives. Here are the three best alternatives to be checked for web hosting. This is said to be the best web host to date having inexpensive shared hosting with a spectacular cloud which users look for. It’s mainly accessed by large businesses in dire need of good web hosting platforms. This hosting platform is no different than Hostinger for its shared hosting and speed. A2 Hosting offers a Compaq SSD storage with turbo servers which land higher website speeds while web hosting. This is a known web hosting name as it specializes in high-grade performance plans. This is quite an expensive platform where all the plans are fully managed and detailed with the help of LiquidWeb’s migration team. Their support is of Gold standard when it caters to hosting and mediating customer support. That’s not it, LiquidWeb also offers 100% power uptime for beginners and experienced clients. Hostinger came out as a weak web hosting platform, but as we progressed testing it, the latter gave a powerful kick with its striking features and super fast speeds. While reviewing, it’s clear that the number of users are increasing due to its cheap offers, fast and responsive shared web hosting and other services. Hostinger’s custom written information sources suit all and its tutorials and knowledge base articles offer a one-stop solution for all customers who want the full control of their website. Every tool or feature is designed manually. catering to user demands and enforcing Hostinger to fulfill the needs-gap of all the users. If you are an old-timer in the web hosting industry, then you will surely know the difference between other providers and Hostinger. By far Hostinger is a rare commodity.